Rivers are often taken for granted, but they have been crucial for our development. Industry, agriculture, transport and society have been shaped by (and shaped) our rivers. 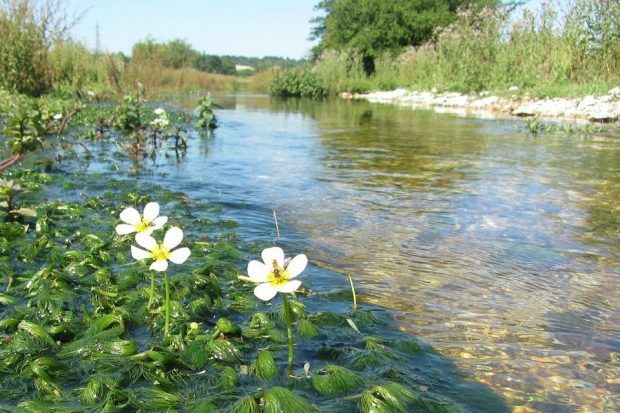 World Rivers Day on 24 September allows us a chance to appreciate our incredible chalk streams which are an iconic part of the English landscape and a very rare habitat globally. There are only around 200 in the world, with over 85% of them found in England. In Hertfordshire and North London, we’re delivering a unique programme that has been developed with Affinity Water and alongside other key partners to improve and restore chalk streams. It's centred on reducing abstraction to keep more water in the environment and improve the flow, alongside a programme of river restoration projects. We believe that this programme is the best opportunity that we’ve ever had to improve our chalk streams. Its now beginning to bear fruit with multiple river restoration projects ready to be delivered in collaboration with Affinity Water, Catchment Partnerships, local Councils and others. There are a number of chalk streams in Hertfordshire including the Beane, Mimram, Lea, Misbourne, Gade, Ver and Bulbourne. They're formed when rain falls in the Chiltern Hills before permeating layers of chalk aquifers and emerging through fissures as springs. This water is a stable temperature, mineral rich, crystal clear & pH neutral. These rare conditions create vital and unique habitats for wildlife and support a huge range of plants and animals, including some of our most threatened wildlife like include brown trout, water voles and water crowsfoot. Abstraction, or pumping, for drinking water to serve the growing population centres in Hertfordshire and North London has led to falls in the groundwater levels, resulting in low flows in the rivers. This is exacerbated during dry spells, as we saw in the first half of 2017. The Beane regularly dries up completely in parts, which can have a devastating effect for plants and animals. Affinity Water has agreed to cease or reduce the amount of water that it abstracts from groundwater sources at 11 pumping stations on 6 chalk streams. They will continue meeting the demand for water in the area by introducing a number of planned water saving initiatives. 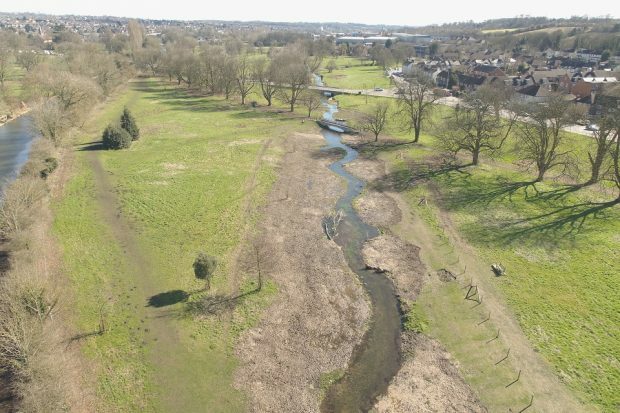 We're working with partners on an ambitious programme of river restoration projects that will go ahead alongside the reduction in abstractions to improve the rivers of Hertfordshire to their former glory. In St. Albans, the ornamental lakes in Verulamium Park are silty, shallow and have suffered from serious water quality issues, in part due to low flows from the River Ver which feed them. These lakes were created during the depression to give local people work. 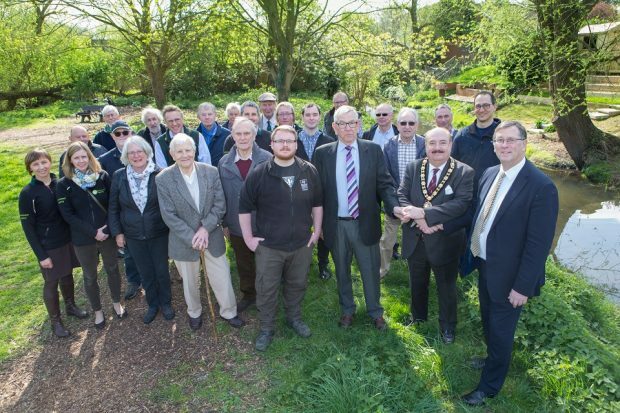 A unique collaboration between St Albans City & District Council, the Countryside Management Service, Affinity Water and the Environment Agency is developing plans to improve the lakes, and wider river area, for people and wildlife. On the River Gade through Gadebridge Park in Hemel Hempstead, plans are being made to restore the artificially straight channel back along its original path. Initial plans include new amenities for park users and new ponds for wildlife as well as removing a weir to allow fish to pass and improve the flow of water. These are just two example of projects that will create a better place for people and wildlife. They are also often designed to incorporate a reduction in flood risk, so a win on all counts. We've recently completed a project at the Bulbourne at Boxmoor. The once meandering chalk stream was drastically altered to feed the adjacent canal which was constructed in the 1790s. Until recently this 1km section was a lifeless, over-wide, straight channel. But working in partnership with the Boxmoor Trust and alongside the Chiltern Chalk Stream, and local volunteers, the Environment Agency has restored the river - we've recreated natural meanders using existing bank material, removed a weir, and installed fencing to stop poaching by livestock. The River Bulbourne soon after works were completed. The narrowed channel has created havens for a wealth of wildlife. Local residents have reported a huge rise in numbers of fish, while damsel flies and kingfishers can also be seen. The classic chalk stream plant, water crowsfoot, can now be seen in the clear waters. 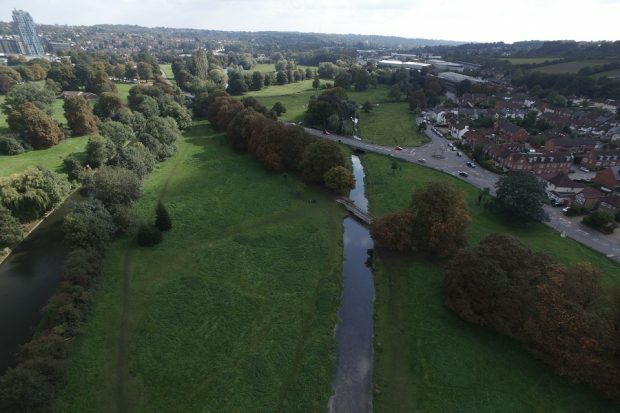 So, if on World Rivers Day you’d like to appreciate a chalk stream in all its restored glory and see what’s possible through working together, then the Bulbourne through Boxmoor is a great example – and what’s more, it’s right next to Hemel Hempstead train station! Tom Perry is Water Resources Specialist and has worked at the Environment Agency for 11 years. For more information on the Bulborne project, please visit http://www.boxmoortrust.org.uk/river-bulbourne/. You have systematically destroyed the chalkstreams in this country! look at the colne! over abstraction, wanton desruction of bankside vegetation, mass weed cutting and you have the front to put out an article like this! we the river users know what you are really like! All very negative, give some credit where it is due. This may be a small advance considering the size of the issues but it is progress.